Stella Toth, 94, passed away April 4, 2019 at Fellowship Terrace, Whitehall. She was the widow of Joseph Toth, who died in 2005. Born in Northampton, she was a daughter of the late Thomas and Anna (Evaschuk) Boshko. Stella was a member of St. Mary’s Ukrainian Orthodox Church in Allentown, St. Mary’s Ladies Auxiliary and St. Mary’s Seniors. She was also a member of Air Force Mothers of the Lehigh Valley and a volunteer for Sacred Heart Hospital. Survivors: Daughter, Joanne and her husband Ken Hutcheson of Peoria, AZ; Son, Thomas Toth of Whitehall, PA; Grandsons, Kurt Shotzberger and his partner Heather Carroll of Las Vegas, NV and Sean Shotzberger of Scottsdale, AZ. She is also survived by many loving nieces and nephews and their families. She was predeceased by brothers, Stephen and Michael Boshko and sisters, Olga Boshko, Ann Budinetz, Mary Penchishen and Jennie Krause. The family would like to thank the staff at Fellowship Community, Compassionate Care Hospice and a special friend Denise Keiper for their tender loving care. A viewing will be held Friday, April 12th 9:30-10:30AM with a Service at 10:30AM in Kohut Funeral Home, Inc. 950 N. Front St. Allentown, PA 18102. Burial to follow in St. Mary’s Ukrainian Orthodox Cemetery, Whitehall. In lieu of flowers, contributions can be made in Stella’s memory to Fellowship Community or to Compassionate Care Hospice directly or through the funeral home. Heather R. Transue, 30, of Nazareth, passed away November 20, 2016. Born in Lancaster, she was the daughter of Bruce Transue and Sally (Eshleman) Groff. Heather worked previously for Moravian Village. Survivors: Parents- Bruce Transue and wife Dawn, Sally and husband David Groff; Grandparents- Earl and Lois Eshleman; Sisters- Michelle and Melissa Transue; Aunts and Uncles. A graveside service will be held Saturday 11AM in Fairmount Cemetery 117 Belvidere Rd Phillipsburg, NJ. Cecelia A. (Sabol) Tomcho, 93, of Whitehall, passed away in her home on October 10, 2016. She was the loving wife of the late Joseph Tomcho Sr. They were married for 59 years. Born in Hazelton, she was the youngest daughter of the late Michael and Veronica (Bell) Sabol. Cecelia was a member of St. Elizabeth of Hungary Catholic Church. She was also a member of the parents committee of ARC of Lehigh and Northampton Counties. Son- Joseph M. Tomcho; Daughter- Pamela Neff; Grandsons- Brian Molinatti and Jeremy Neff; Great Grandchildren- Michael and Meghan Molinatti. She was predeceased by her parents, daughter- Anita Molinatti, brothers- John, Edward and George Sabol, and sisters- Veronica Schadder, Margaret Brioc, Mary Sundra, Anna Martonick, Helen Hnat, and Cecilia Sabol. A viewing will be held on Friday 9-10:45AM with a Mass of Christian Burial to be celebrated at 11AM; both at St. Elizabeth of Hungary Catholic Church, 618 Fullerton Ave Whitehall, PA 18052. Burial to follow in Cedar Hill Memorial Park, 1700 Airport Rd, Allentown, PA 18103. 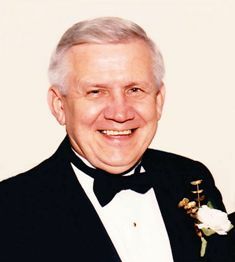 In lieu of flowers, memorial donations can be made to the ARC of Lehigh and Northampton Counties and/or St. Elizabeth of Hungary Roman Catholic Church, care of Kohut Funeral Home, Inc.
Anthony L. Tkach, 85, of Bath, passed away Sept. 10, 2016. 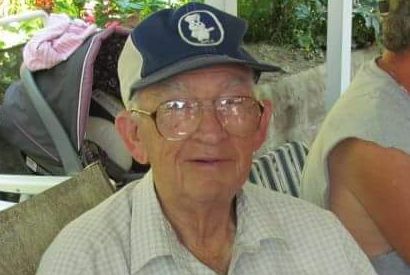 He was the loving husband of the late Gloria Ann (Sopper) Tkach. Born in Allentown, he was the son of the late Anna (Fedor) and Michael Tkach. Anthony served in the U.S. Army during the Korean War. He was a member of Notre Dame of Bethlehem Catholic Church. Anthony retired as a truck salesman working for Bethlehem Ford and Emmaus Ford. He and his wife then traveled to local fairs with their concession stands, once known as T&G Concessions. Anthony enjoyed car shows and meeting with his friends. Children- Terry Boyer and companion Gordan Kocher of Bethlehem, Michael and wife Cathy Tkach of Mt. Carmel, Carol and husband Martin Yuhas of Bethlehem, Frances and husband Carl Crawford of Chesapeake, VA; 8 Grandchildren; 8 Great Grandchildren. He was predeceased by his grandsons- Edward Tkach and Jonathan Yuhas. A calling time will be held Wednesday 9-10 AM with a Memorial Service at 10 AM in Kohut Funeral Home, Inc. 950 N. Front St. Allentown. Burial to follow in Holy Saviour Cemetery. In lieu of flowers, contributions can be made in Anthony’s memory to Notre Dame of Bethlehem Catholic Church. Victoria J. 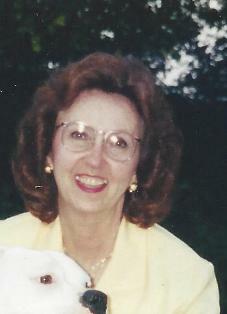 (Niedermeyer) Terplan, 68, of Whitehall, passed away Sunday, July 27, 2014. Born in Allentown, she was the daughter of the late Walter and Myra (Smith) Niedermeyer. She was a member of Immaculate Conception Catholic Church. Victoria worked for JcPenny Dept. Store for 14 years, where she most recently worked in the home department. She was a very loving woman and she will be greatly missed by all of her family and friends. She was predeceased by her son- Kenneth M. Terplan and brother- John Niedermeyer. A viewing will be held on Thursday 6-8PM in Kohut Funeral Home, Inc. 950 N. Front St. Allentown 18102. A viewing will be held on Friday 10-10:45AM in Immaculate Conception Church 501 Ridge Ave Allentown with Mass of Christian Burial to follow at 11AM. Burial to follow in Our Lady of Mt. Carmel Cemetery. Flowers can be sent to the funeral home or monetary donations can be made in Victoria’s name to the American Cancer Society 3893 Adler Place, Suite 170 Bethlehem, PA 18017. Florian “Mark” M. Talianek, 77, of New Tripoli, passed away Saturday, February 2, 2013. He was the loving husband of 57 years to Kathryn A. (Hoch) Talianek and a devoted father of 4 children. Born in Allentown, he was the son of the late Florian and Mary (Osika) Talianek. Mark owned and operated Mark and Ray’s TV. His hobby was being an amateur photographer. A calling time will be held Thursday 8:30-9:300AM in Kohut Funeral Home, Inc. 950 N. Front St. Allentown 18102. Mass of Christian Burial to be celebrated Thursday at 10:00AM in St. Francis of Assisi Catholic Church 1046 W. Cedar Street, Allentown, PA 18102. Burial to follow in St. John the Baptist Slovak Catholic Cemetery, Allentown. Carol Ann Tichy, 63, of Allentown, passed away Sunday, June 17, 2012. Born in Allentown, she was the daughter of the late John L. and Ida (Szalachowski) Tichy. She was a member of St. John the Baptist Slovak Catholic Church, Allentown. A graveside service will be announced at a later date. Arrangements care of Kohut Funeral Home, Inc.
Mildred Trinkle, 93, of Allentown, passed away Friday, February 10, 2012 at Fellowship Manor. She was the loving wife of the late Francis J. Trinkle. Born in Hazleton, she was the daughter of the late James and Anna (Pellettieri) Matz. Mildred worked at Sears for over 20 years as a sales clerk. She was a member of St. Francis of Assisi Catholic Church. She was predeceased by her sisters- Rose Gilly and Geraldine Epstein. A viewing will be held Tuesday 9-9:45AM with a Mass of Christian Burial to be celebrated at 10AM all in St. Francis of Assisi Catholic Church 1046 W. Cedar St. Allentown 18102. Donations can be made in Mildred’s memory to Fellowship Manor care of Kohut Funeral Home, Inc.